Most of the crops we eat today, including tomatoes, have evolved from less desirable wild plants. Over generations and generations humans have selectively created many plant varieties through seed-saving and plant breeding. Most of the tomatoes we grow today are human-created cultivars that humans have named, e.g. ‘Brandywine’and ‘Celebrity’ or ‘Early Girl’, for example, are cultivars of tomato. Thus Lycopersicon lycopersicum ‘Early Girl’ as you see on the label or seed packet. 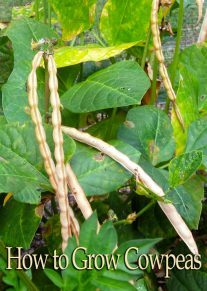 An “heirloom varieity” or “heirloom seed” is an open-pollinated plant varieity that gardeners have grown and saved seed from for many years–usually 50 years or more. Heirlooms can be plants that gardeners have passed along through the generations, one gardener to another or they can have a long commercial history–offered by seed companies since the cultivar was first created and introduced to the marketplace. 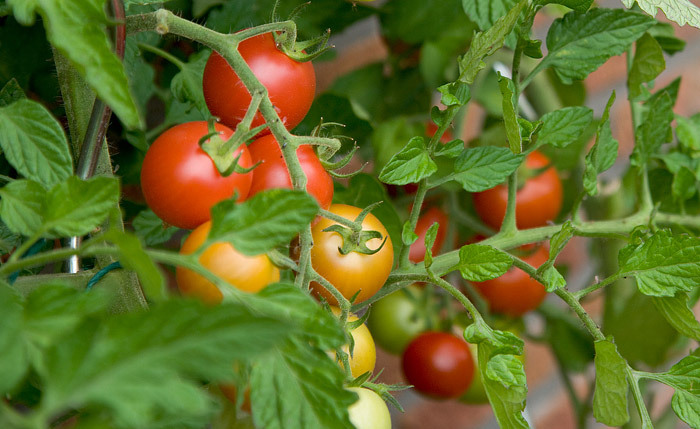 Heirlooms are plants that several generations of gardeners have liked enough to make sure they get passed on–so the benefits or advantages may be many–great flavor, easy to grow, pest or disease resistant or all of these and more. Heirlooms have withstood the test of time and the demands of gardners. 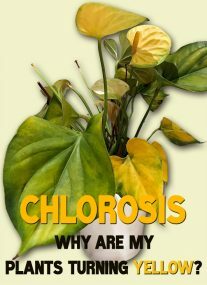 Like many things, plants may come and go when it comes to popularity. Many heirloom tomatoes seen today have been “re-discovered”–that is they might have fallen out of popular use or acceptance as new plant cultivars were introduced and more widely distributed. These “new” heirlooms are just as good as they used to be–now they are re-gaining traction among growers. So are there benefits to open-pollinated heirlooms, yes. A hybrid is a plant or animal that is not like its parents: horse + donkey = mule, a hybrid. Two different species produce a hybrid. In the plant world, hybrids are usually made not by crossing two different species, but by crossing two different varieties within the same species. When you see the word “hybrid” used to describe a plant cultivar what is almost always meant is that this plant is a F-1 hybrid, which means it is the first generation of two parents each of whom was bred in isolation for a very desired trait. When the genetic information for each of the parents with the very desired trait was uniform, the breeder crossed those two parents to create the F-1 hybrid, the best of both parents! The seed from this cross will be the hybrid seed that is sold as F-1. When you see a plant is a F-1 hybrid–the inference is that it is a plant or seed that has very desired qualities. The seed grower will use these same parents each time she wants to produce more F-1 (first filial generation) hybrid seed. 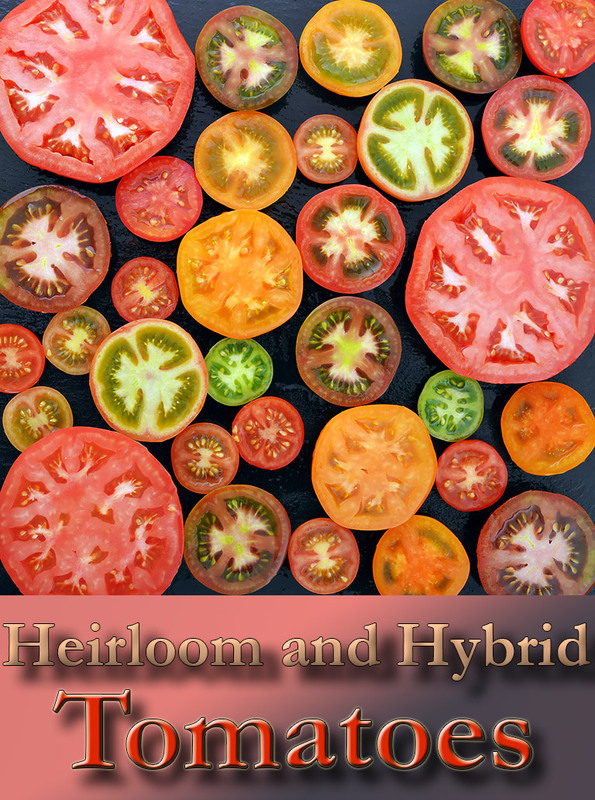 Hybrid or heirloom: Is one better than the other? Which is better: open-pollinated heirloom or hybrid? If you buy a F-1 hybrid you are going to get a plant that is the same as the last F-1 you grew. It comes from the same parents. The Early Girl F-1 tomato will be genetically the same as every other Early Girl F-1 tomato: they will grow the same in all respects–days to maturity, disease resistance, flavor. With F-1 hybrids you get the advantage of what is often called “hybrid vigor”–best of the parent plants and the work of the plant breeders to develop that hybrid. But here’s the minus side (warning: gets to be a bit Botany 101), if you collect the seed from F-1 hybrids they are not the seed of the original parents–they are offspring of the super-parents, the F-1. The seed of a F-1 hybrids will not breed true the next generation; it will not grow true to the traits of the F-1’s parents. The offspring of F-1s begin reverting to all sorts of traits from their genetic past. Only about one-fourth of the offspring of F-1 hyrbrids will retain the qualities of the F-1 and its super parents. So F-1 hybrids are not stable for breeding or growing from seed. Practically speaking, that means you have to buy F-1 hybrid seed or plants new each year. The postive: hybrid vigor; the minus: the cost. So if you find an open-pollinated plant or heirloom that you like: it has the flavor and growing characteristics you like and it has disease resistance (if that is important to you) then it certainly will have one advantage over a hybrid you like, it will cost you less in the long run. My advice would be to grow both open-pollinated heirlooms and F-1 hybrids. ‘Celebrity’ is an F-1 hybrid tomato that has celebrity flavor–who would want to be without it? 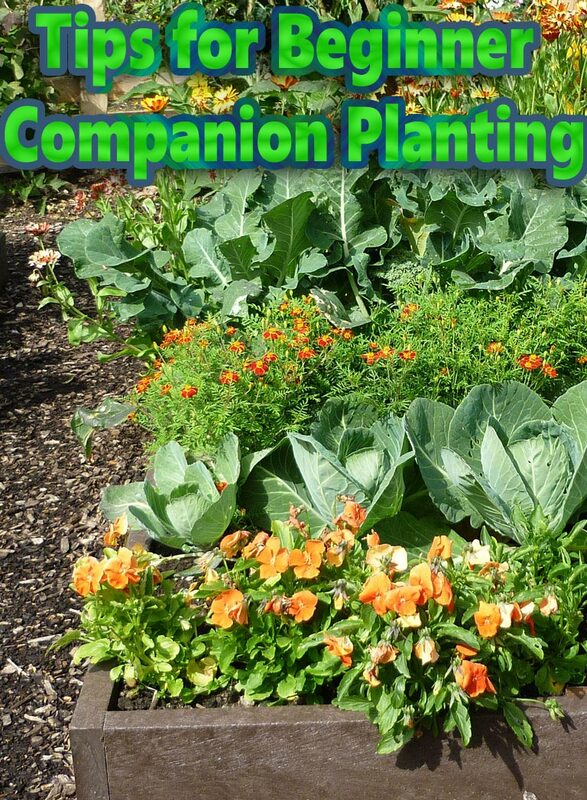 Grow some of each every year, and grow different cultivars each year. Keep a few notes on growing habits and invite friends over for a tomato taste test at the end of the summer. ← Healthy Eating – Why is Margarine Bad for You?